Thanks to +AJ Khon for sharing the original post by +Matt McGee. Over the past week posts and discussions about Author Rank and Authorship have been flowing. 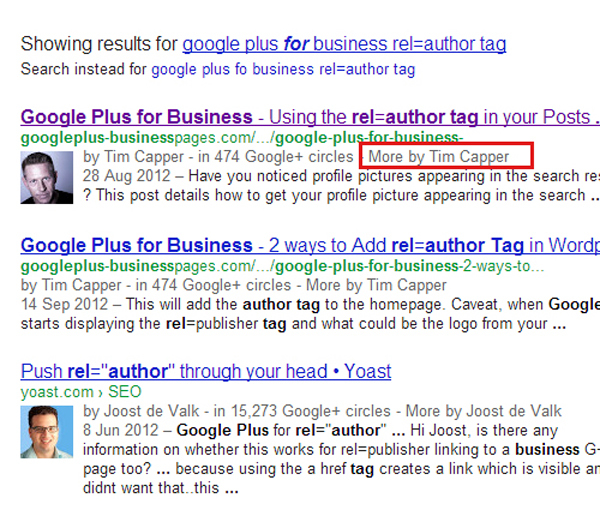 Today we have had confirmation that Google is showing / giving benefits to Authorship. 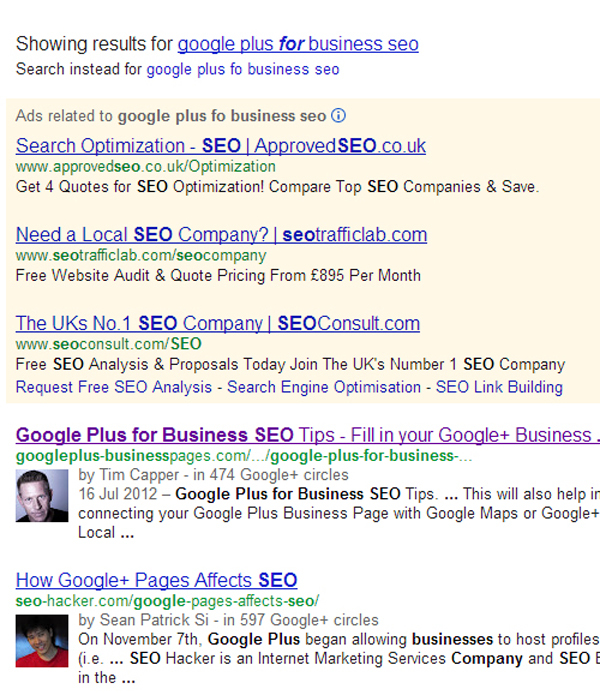 Google is now showing extra links attached to Authorship in Search Results. Caveat : For these additional links to show up, the reader needs to be on the sites page for approximately 2 minutes. This amount of time is an indication to Google that you are interested in the information provided on the particular page and indicates to them that you may like to see additional articles by this author. I clicked onto my article and read through the article, it takes around 2 minutes. I then use the back browser button to resturn to the search results for my original search, this is where you see the difference. 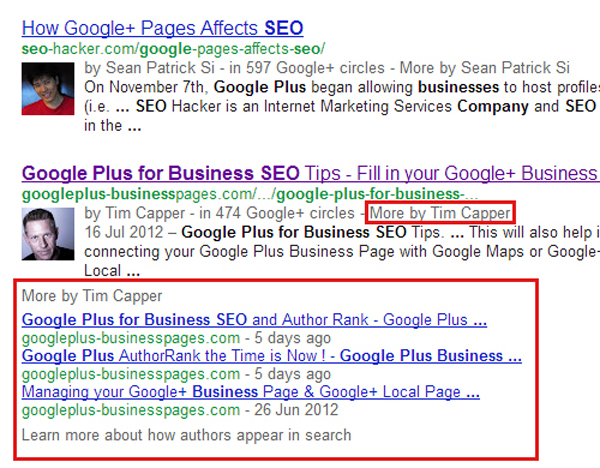 Google has added “More by Tim Capper” below the original article. As you can see Google has decided by the time that i spent on the post, reading the article that Google feels confident enough to display addittional information about the author. The Moral : Create good strong content for people to read. Note : This result only appeared when i used the back button in my browser. So what if I dont use the back button ? I carried on doing a little searching around published my articles in the search results, when I noticed that Google had added “More by Tim Capper” next to my circle count. So the results can be assumed that, even if you do not manage to keep a reader on page for more then 2 minutes and IF that user does not use the back button, Google seems to still give you that extra credit with your Authorship. If you really like the Author and wish to skip directly to all their published content, just click on the “More by Author” link in your Authorship. Google then displays all your Author Accredited Articles and Content. Create great content that will engage the reader for around 2 minutes, if not don’t worry, Google will still attach a “More by Author” when the person searches around relevant topics within your published field. 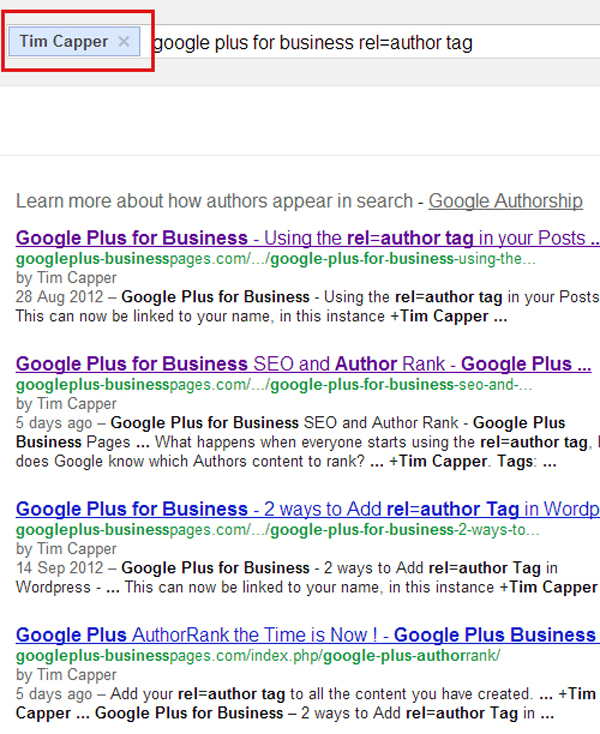 ← Google+ Author Rank, the Time is Now !